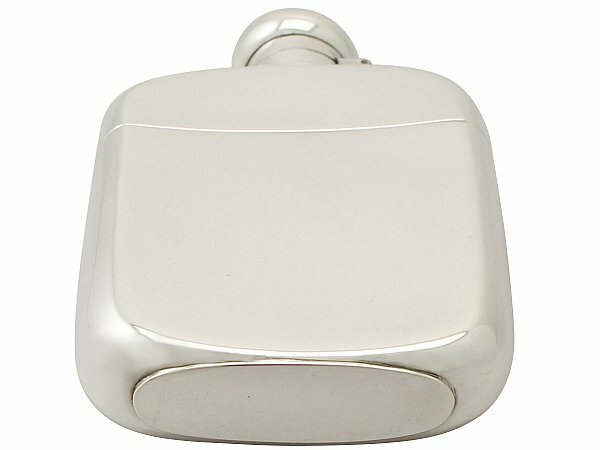 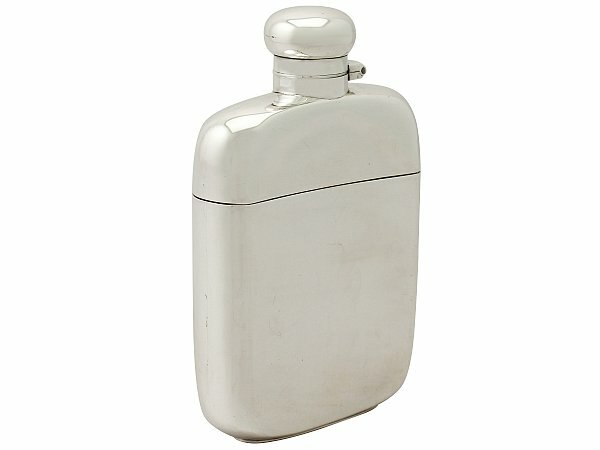 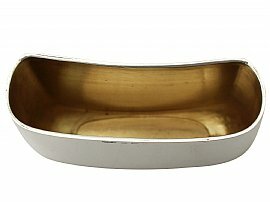 This exceptional antique George V sterling silver hip flask has a plain rectangular rounded form. 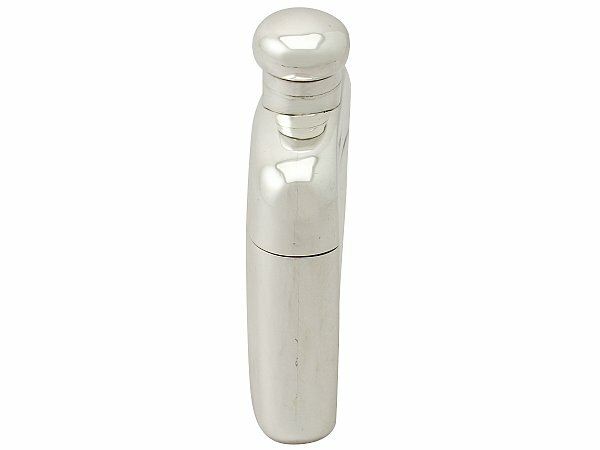 This impressive antique flask is fitted with a plain domed hallmarked hinged cover with bayonet fitting. 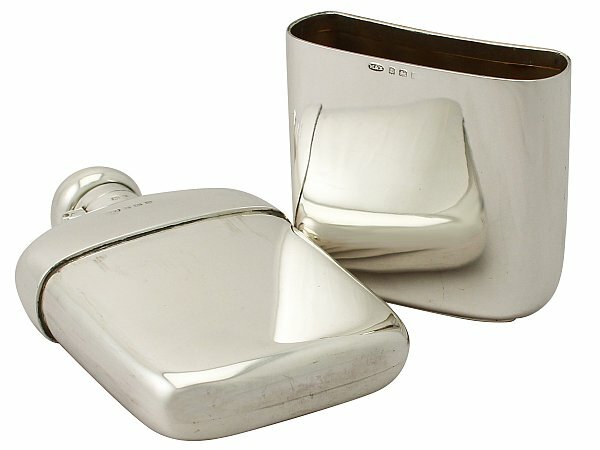 This George V flask retains the original full hallmarked detachable push fit drinking cup which features the original gilt interior; this drinking vessel is a large example for its type. 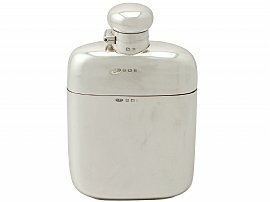 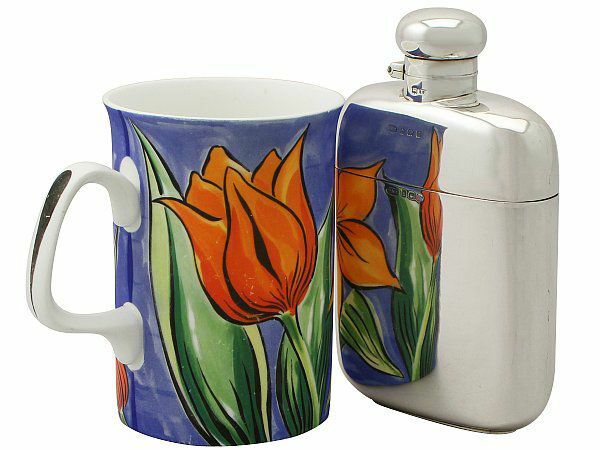 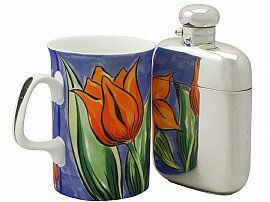 This flask has been tested for watertightness and is ready for use. Method Two: Fill the flask to the brim with fluid and close. 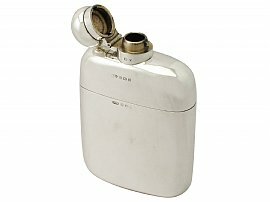 Leave it like this overnight, or 24 hours if possible, before use. 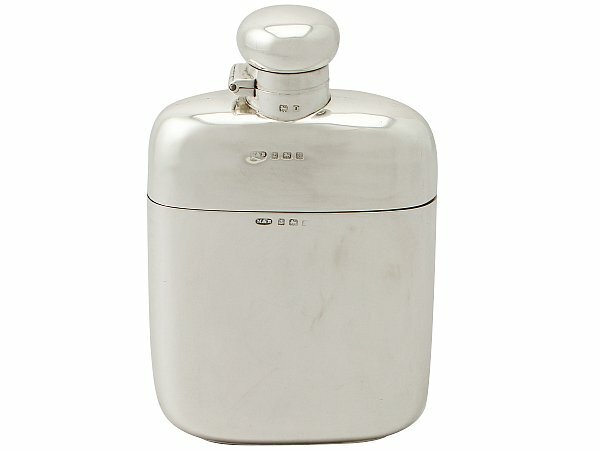 This antique hip flask is an exceptional gauge of silver, exceptional quality and in exceptional presentation condition. 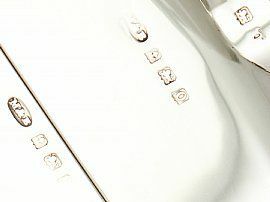 Full hallmarks struck to the surface of the body and drinking cup in addition to the part hallmarks to the neck are all very clear.